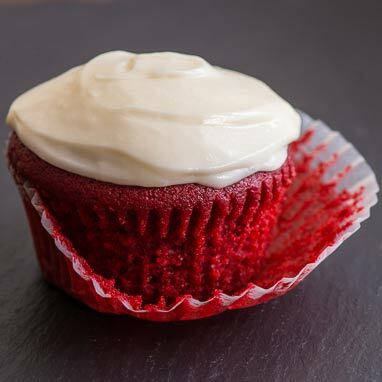 It was during the great depression when food colorings and dyes became readily available to consumers that red velvet cake began making it’s way into home kitchens everywhere. The combination of buttermilk and vinegar bring out the red in the cocoa powder as well as helping keep the cake light and moist. These flavorful cupcakes are perfectly paired with a cream cheese frosting or whipped cream. The white frosting is a beautiful counterpoint to the bright red cake, and the flavors combine perfectly.